Jig Set Router Tools A tooling kit to finish your AR-15 80% lower receiver using the TM-15 Router plate adapter. It includes a 1/4 4 flute endmill for the milling of the FCG. 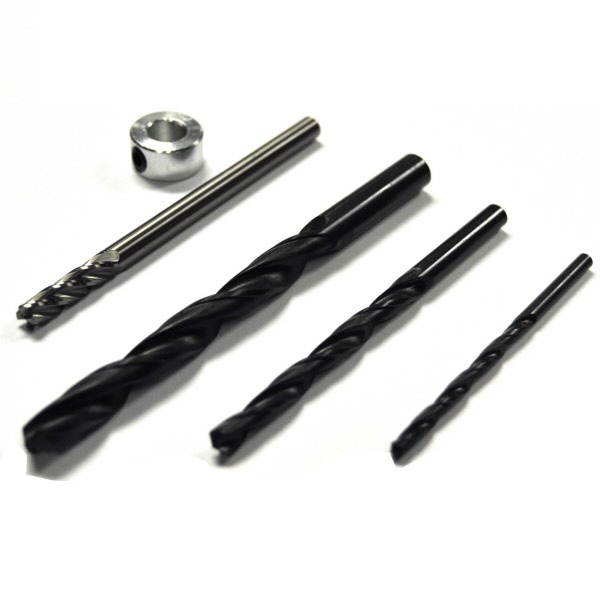 3/8 Drill bit for roughing material and drilling the 3/8 selector hole. A 1/4 drill bit for drilling out the trigger slot.